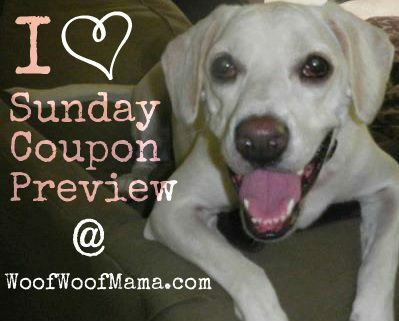 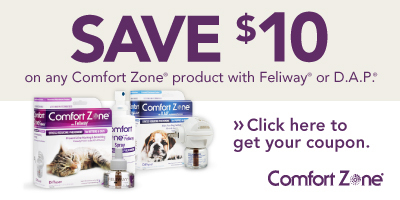 Pet Coupons: $2 Off Nylabone, $5 Off Comfort Zone + 8 More! 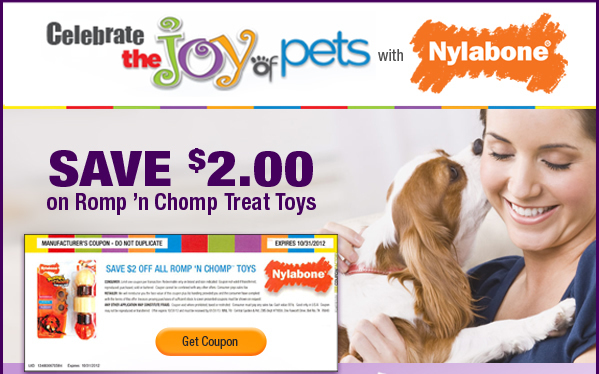 Check out these 10 new pet coupons over at TheJoyofPets.com including $2 Off Nylabone Romp ‘n Chomp Toys, $5 Off Comfort Zone products, $2 Off Bio Spot Home and Yard Products, $2 Off Adams and more! 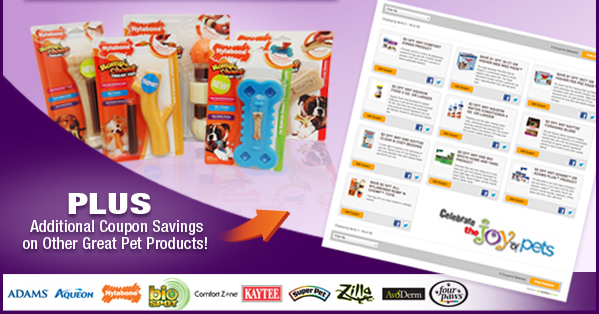 While you are there you can signup to receive emails with future offers from this great family of pet brands, Central Garden and Pet Company.